Part of the front page from the March edition of Fitzrovia News. 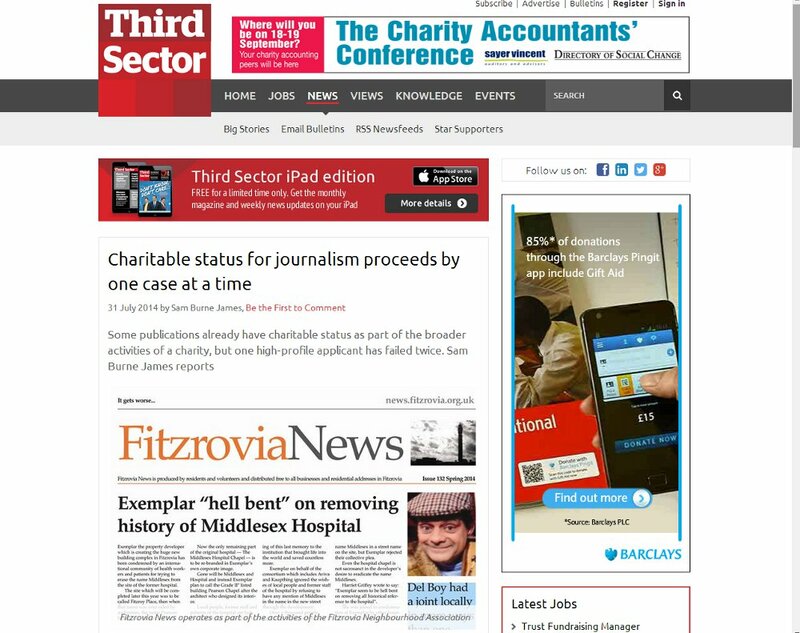 Our community newspaper Fitzrovia News has been featured in a charity trade magazine Third Sector. We publish the community newspaper to inform people living in Fitzrovia about their neighbourhood and encourage people to respond to issues that may affect them. Fitzrovia News is published in print quarterly with updates on the web and social media. It is one of a number of charitable activities we carry out. The article appears on the Third Sector magazine website in a feature about charitable status for journalism. This entry was posted in Uncategorized and tagged Charity, Fitzrovia News, media. Bookmark the permalink.